Downtown Orlando has proven to be a key influencer and driver for the economy of Central Florida. The area has become world-renowned as a breeding ground for innovative digital media groups and creative amenities. Downtown Orlando is somewhat removed from the tourist areas located further south, but visitors flock here to experience what many call the “Real Orlando”. The city of Orlando established itself as a major citrus producing hub during the early 1900’s. However, the downtown area was relatively small when compared to other cities of similar overall size. Then this area saw a boom in construction at the turn of the millenium. This dramatically altered Orlando’s skyline and density over that next decade. This area is now the largest urban center in Central Florida. The City of Orlando has made a serious commitment to providing good public transportation. There are numerous public transit providers that can place you within minutes of any desired location Downtown. This city has evolved over the years from a major citrus hub to what is now a large metropolis. Despite the many changes, Lake Eola has persisted as one of the oldest emblems for Downtown Orlando. As the center of this part of the city, visitors will find some incredible dining and shopping options surrounding the lake. If you are feeling a bit romantic, be sure to take one of their famous swan boats out for a spin around the incredible fountain at the Lake’s center! Speaking of landmarks in Downtown Orlando, you may also want to check out the Public Library. This huge facility is the largest of it’s kind in the Sunshine State and a major resource center for Orange County. The library has been in the same location for nearly a century! Even though most people may not feel the need to visit libraries regularly anymore, Orlando’s Public Library offers many special programs and events which has made it a favorite spot for residents and visitors alike. 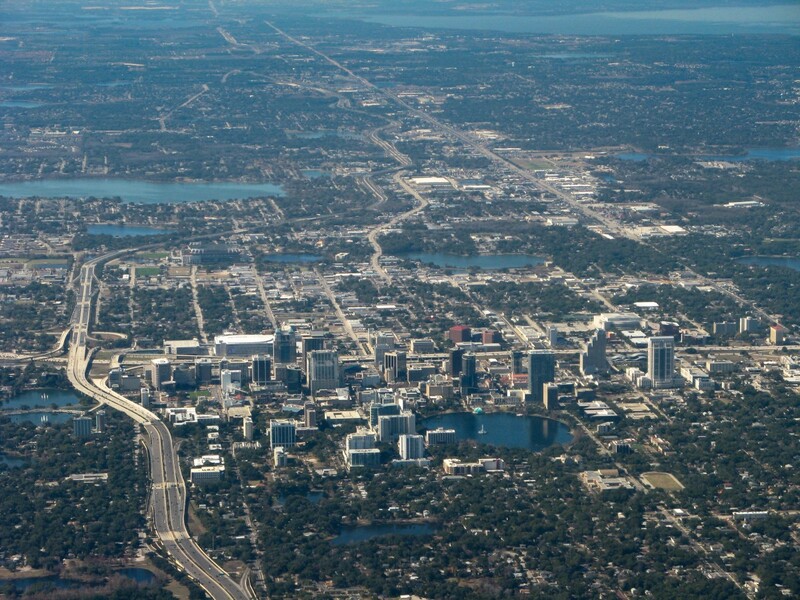 Downtown Orlando is a popular destination for young professionals looking to live in Central Florida. It’s culturaly diverse communities and city-living amenities mean that residents won’t get bored easily. If you’re a current resident looking to sell your home for cash, then we can help you get started now.